If a quarter of all Dutch households can achieve 30% savings on gas, this equates to a reduction of 1.1 billion kilos of CO2 emissions per year. Using magnets on the long sides, SpeedComforts can be placed between the two panels easily. This can be both above and below the radiator. 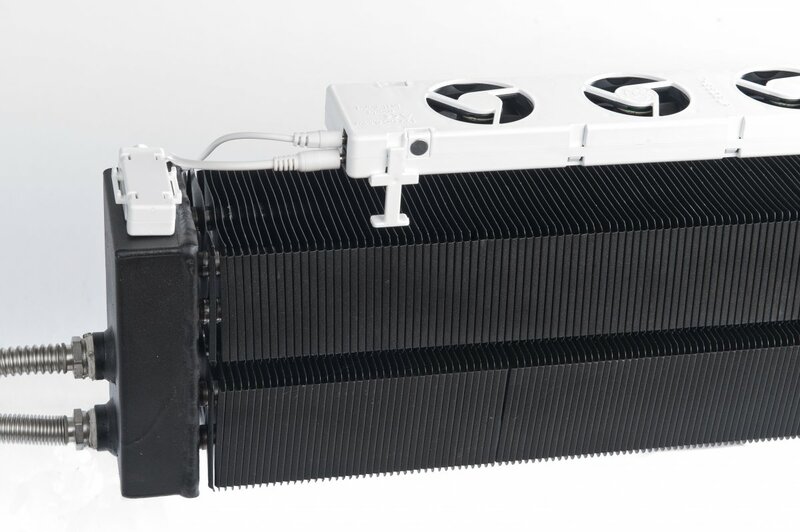 For a longer radiator, multiple units are placed in series, connected to one adapter. Multiple units placed in series can be operated by one thermostat switch. 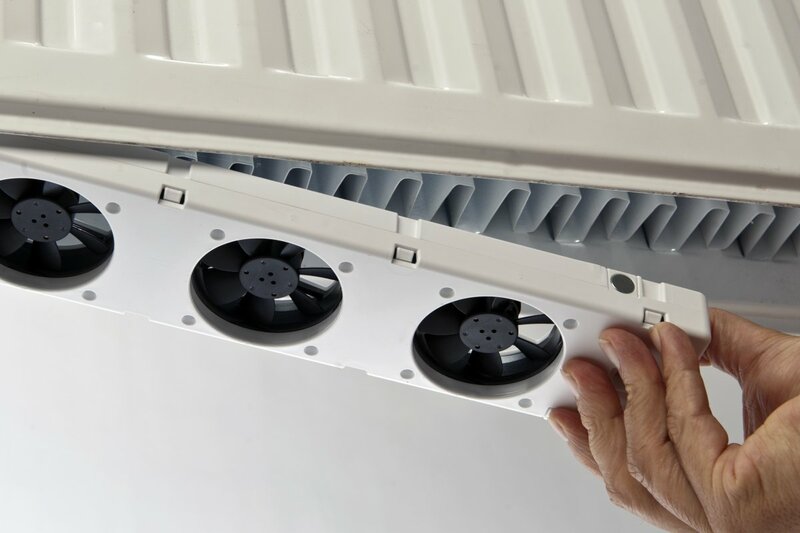 Place multiple units in series, connected to one adapter, under a longer radiator. 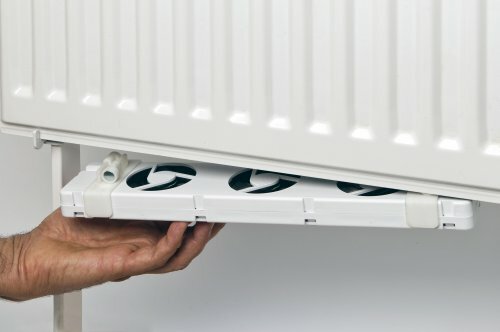 The SpeedComforts can also be placed under a single panel radiator, as long as you have a gap of at least 5.5 cm between the back of the radiator panel and the wall. The brackets are also used then. Metal support plates can be ordered for providing support on the wall side. These are stuck to the wall in the place where the magnets in the brackets touch the wall. SpeedComfort will automatically switch on when the radiator temperature exceeds 33 degrees Celsius and also automatically switches off when it cools down to 25 degrees Celsius. The SpeedComforts are placed on (or underneath) a convector on feet. For a longer convector, multiple units are placed in series, connected to one adapter.